Should Retirees Pay Off Their Mortgages? Many homeowners dream of hosting a “mortgage-burning” party as they approach retirement. But paying off the mortgage isn’t always the best strategy. Sometimes, it’s better to keep that money in the bank for other purposes, such as building retirement savings or paying down higher-interest debt. In other cases, paying off a mortgage makes sense, especially when you have ample retirement savings and plan to stay in the home for a while. The analysis depends on the terms of your mortgage, the amount of your savings, and your expected retirement income. An increasing number of Americans are facing decisions about what to do with their mortgages as they retire. Baby boomers are swelling the ranks of retirees, and more older homeowners are carrying mortgage debt than in the past. More than 40% of homeowners 65 and older had mortgage debt on their primary residences in 2016, up from 22% in 1995, according to a recent Wall Street Journal article. So how should homeowners approaching retirement evaluate whether to pay off their mortgages? Experts point to several considerations. If you plan to live in your home for a while or to age in place, then paying off your mortgage can bring peace of mind. That’s especially true if the interest rate on your mortgage is much higher than the return you’re getting on your investments. For example, if you’re investing in certificates of deposit earning an interest rate of 2%, it makes more sense to use that money to pay off your mortgage if the interest rate is higher. However, if your retirement plans are not fully funded or you lack sufficient savings or emergency funds, keep that cash in the bank and leave the mortgage as is. If you’re not sure you have enough stashed away, consult a financial adviser. According to a recent Transamerica study, only 11% of workers over age 65 have a written strategy or financial plan for retirement. A written financial plan for retirement is like a reality check to ensure you’re financially ready to retire. Otherwise, you risk outliving your savings. If you’d like to reduce your mortgage payment, but not pay off the mortgage entirely, you can lower your monthly payments by refinancing and extending the life of the loan. You may be able to lock in a lower interest rate although you better hurry as mortgage rates are rising. While it’s not a bad idea to use low-earning savings to pay off a higher-interest mortgage, that only applies if you have more than you need for retirement and emergencies. It does not apply to retirement accounts such as IRAs or 401(k) plans. 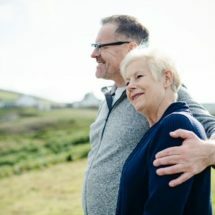 That’s because you may be subject to a tax penalty of 10% for early withdrawal if you take funds out of an IRA to pay off your mortgage before you turn 59½. And, of course, you’ll be depleting your retirement fund.